For many people, hard water is a fact of life. Going to great lengths to soften aquarium water for the sake of the fish within, however, doesn't have to be. Before you wage water with the specific parameters of your tank's water, take a moment to consider if the fish you have selected truly need softer conditions or if they can adapt to what flows from the faucet. When the dh is 0 to 6 and the ppm is 0 to 100, the water is soft or very soft. When the water's dh is 6 to 30 and the ppm is 6-30, it's slightly hard to hard. When dh is 30 or more and the ppm is 450 or more, the water is considered "liquid rock," or very hard. Water's KH is related to the aquarium's pH level. The higher the KH measurement, the less the pH of the aquarium will fluctuate—and that's best for the fish. Here's the good news: Unless you've invested in specific tropical species that absolutely must live in soft water, such as a wild-caught Discus, your fish will likely adapt to the hardness of the water in its aquarium. 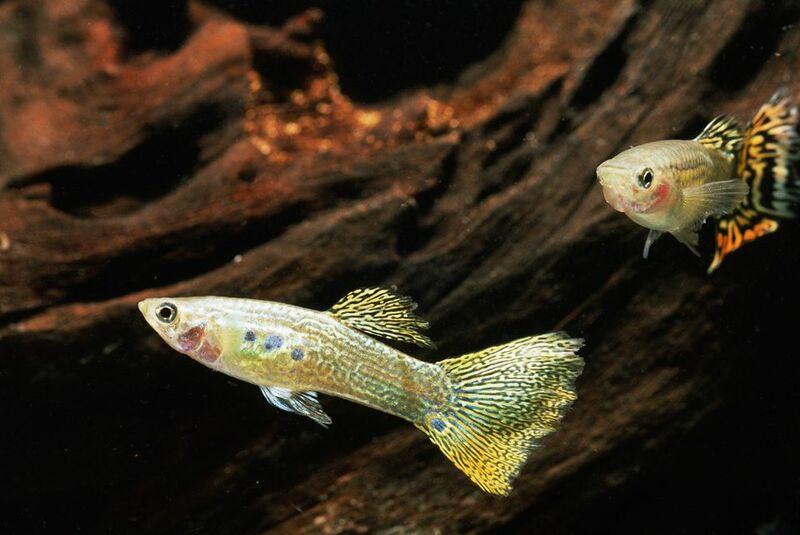 Even if the research you do on fish accurately states the original native habitat for a species of fish, it's possible the fish you bring home from your local pet shop wasn’t born or raised in that environment. In fact, if your fish is one of the many species that are now commercially bred, odds are it was raised in water that leans toward the hard alkaline side. If your chosen species of fish truly must have soft water, consider changing water sources instead of using expensive ongoing water treatments. Reverse osmosis (R/O) water is one option, as is using a combination of tap and distilled water. Some industrious aquarium owners have been known to collect rainwater, which is naturally soft and acidic. If you use any sort of extras to harden or soften the water, ensure that they've been cleaned thoroughly, so it doesn't do more harm than good. When purchasing fish, check with your local pet shop to find out what the hardness and pH levels are for their tanks. You might be surprised to find that most of their tanks are filled with hard, neutral to alkaline water, even though they are keeping fish that are supposedly soft water species. It seems counterintuitive to keep fish in the "wrong" type of water, but these fish were captive-bred in hard water conditions. Therefore, it makes sense to keep them in water that is similar to what they were raised in.